No indian meal without a lassi. 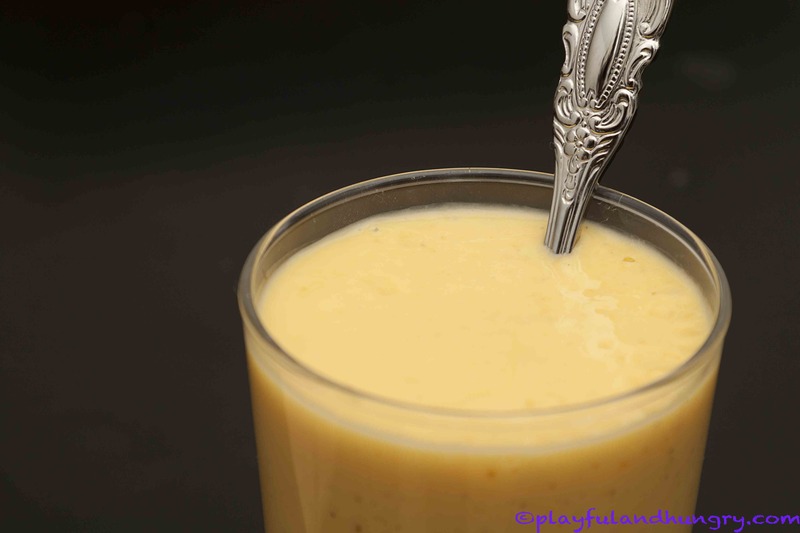 Lassi is a popular and yogurt based indian drink. It can be both sweet or savory. Traditional Lassi is savory, often yogurt is blended together with water and spices like roasted cumin and coriander seeds. It’s said to help your digestion when enjoying an indian fest, too. 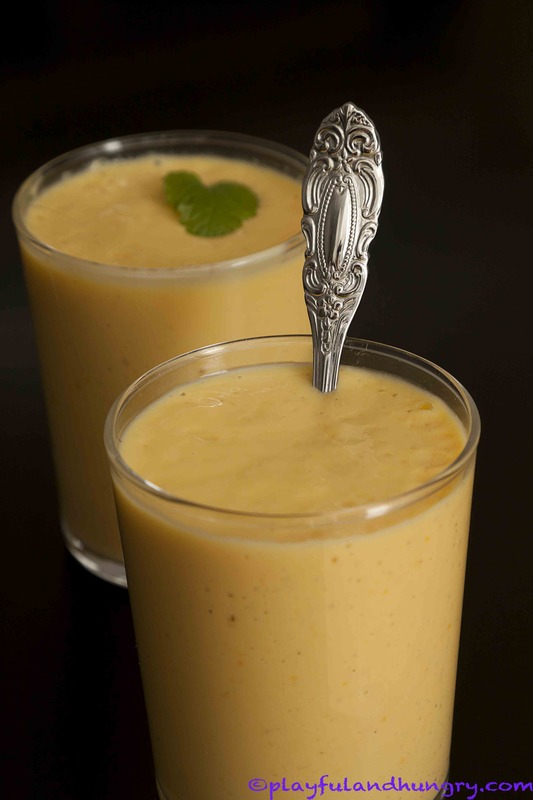 The most popular way to enjoy a sweet lassi is mango lassi. It’s refreshing and not as filling as a milkshake. And it tastes really great! If the mango you use is ripe enough, you won’t need any additional sweetener. At least, that’s what my tastebuds told me. Feel free to add agave, sugar, stevia or blend in some dates. Whatever works for you is fine! Another thing I like about Lassi: It’s so simple! No fancy ingredients! Okay, you can add fancy ingredients like rose water, but you don’t have too! Put everything in your blender and mix. That’s it! 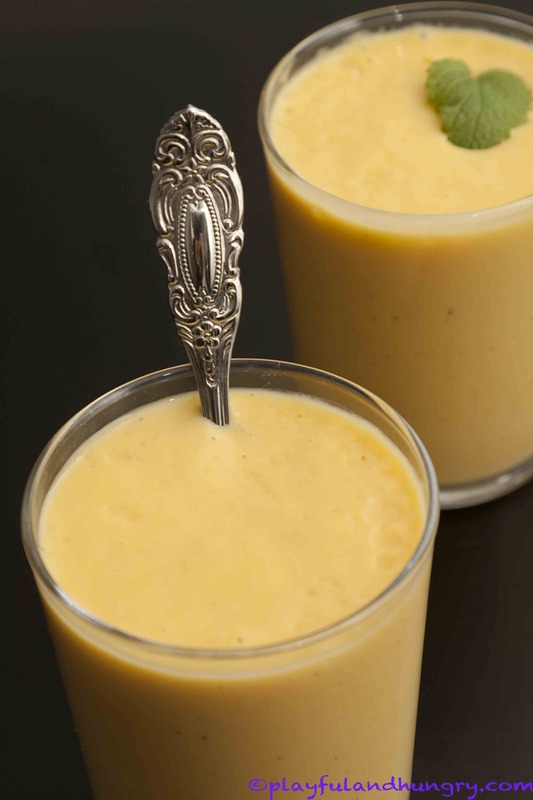 Enjoy Lassi with an indian meal or just like that! Note: Cardamom and rosewater are not for everyone. I love cardamom, but most people I know don’t… so please make sure you like it before you add it to your lassi! I warned you! * No fresh mango on hand? Use some pieces of dried mango! Soak before mixing or use a high speed blender, it does the job! 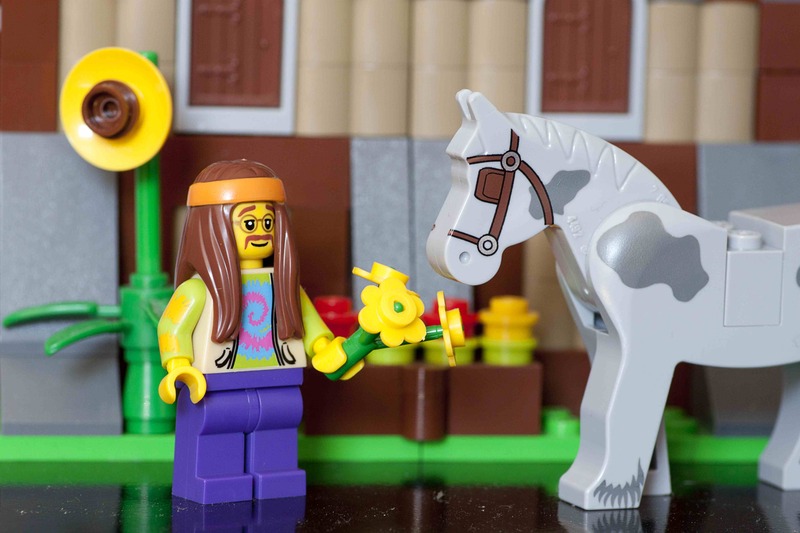 You might have noticed that there was no mini fig here. You’re still on the Playful and Hungry website, don’t worry. I must have been out of sorts when I was taking these pics… and probably really hungry, too! Let’s make the connection between Lassi and my playful hippie picture: Many hippies travelled to india! =D There you go!